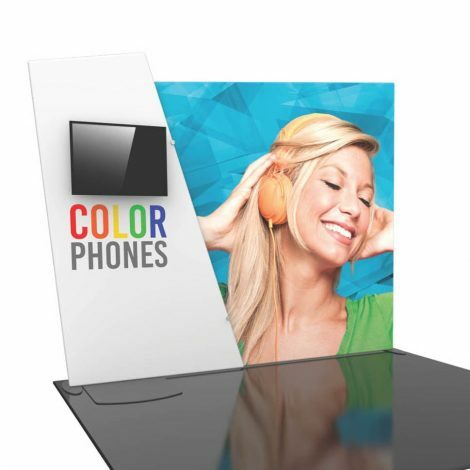 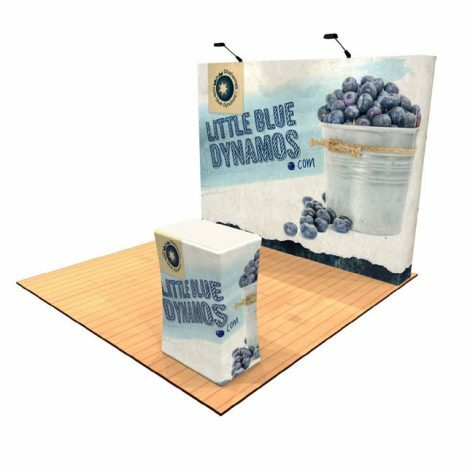 At TPS Trade Show Displays we offer a wide variety of 10′ x 10′ Displays sure to meet every budget and design requirement. 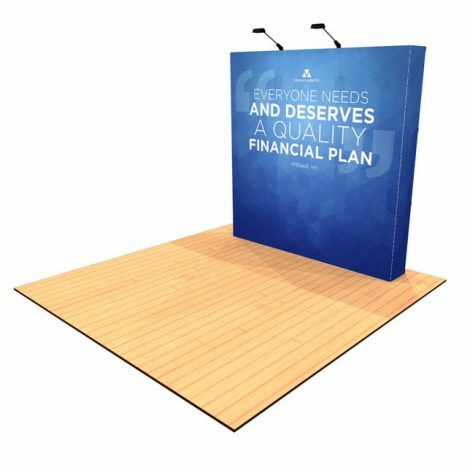 Our designs include traditional 10ft pop up displays with expandable frames and full color mural panels. 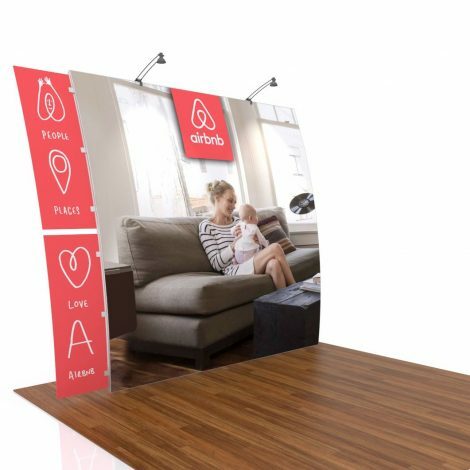 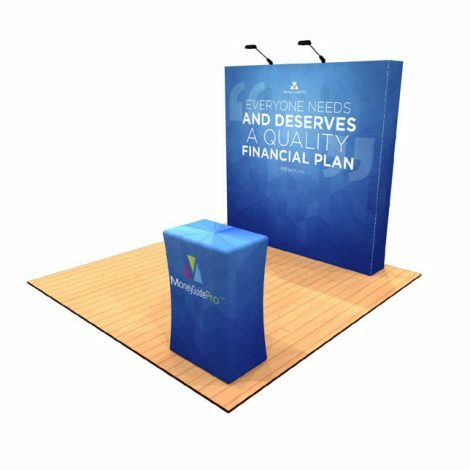 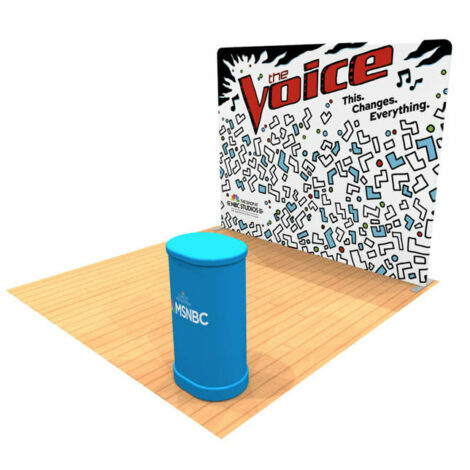 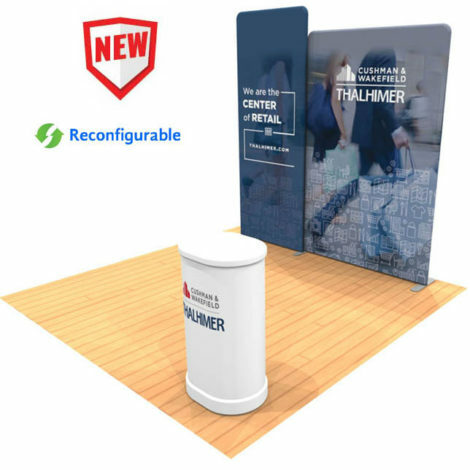 10′ Tension Fabric Pop Up Displays use one large fabric graphic that stretches over an expandable pop up style frame similar to traditional pop up displays. 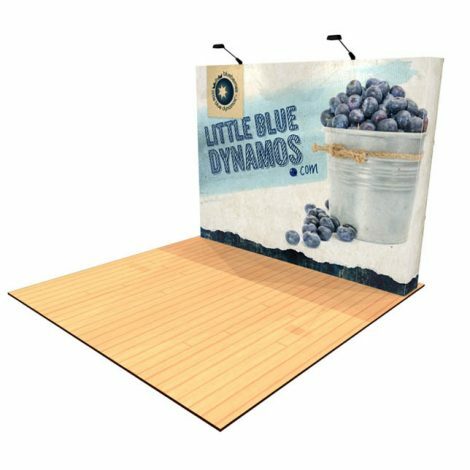 The 10ft Tension Fabric Displays are our most popular designs. 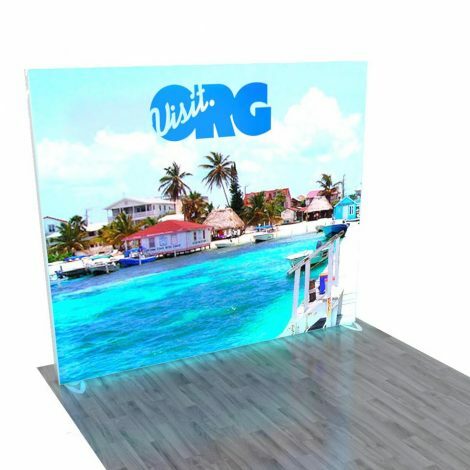 With contemporary shapes and design elements, these portable 10ft displays offer large monitor mounts and can even be configured into larger 10ft x 20ft displays with the purchase of additional parts.